Business games have long been popular among various groups of the population, especially free business games. Interesting and informative plot, useful skills. The branch of games of this direction is constantly growing and developing, offering more and more interesting offers with ample opportunities. For a long time many people heard the popular game Money $ Mania, but it was replaced by the multi-user on-line business strategy Virtonomics. The concept of the game grew out of Trevor Chan’s famous game Capitalism II. Now Virtonomics is an original, unique and well-standing project known all over the world. Economic strategy Virtonomics is free and has already been installed in most of the world’s major languages ​​- Russian, English, French, Spanish, German, Chinese, Ukrainian. The game is constantly being updated, in addition to the familiar sphere of agriculture and transport, the full range of services has been replenished, the fitness centers industry, medicine represented by pharmacy and private clinics and many other interesting ideas have been developed. Business games are aimed not only at entertainment, but also in the field of education. 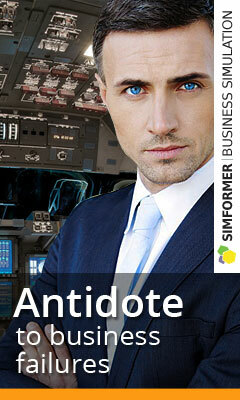 Business simulators are an excellent multi-discipline learning platform. Here you can learn the basics of business with pleasure, develop managerial skills, try yourself in the sphere of interest, try to realize your own goals, tactics and strategy. 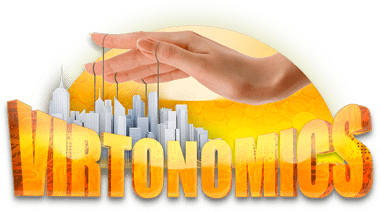 Virtonomics allows you to master the subtleties of the modern economy in a playful form, and also to improve your knowledge of English. After all, in the modern world in the era of globalization, business English is a basic necessity for every person. In the game you have to communicate with partners, competitors, and many of them are English-speaking players. Thus, Virtonomics helps to learn foreign business terminology and to constantly support the skills of its use. Business games are created at the intersection of commerce and art, which has an impact on the development process. In order for the developed game to become a successful project it is necessary that it combine the cold calculation of marketers and financiers, as well as the “burning eyes” and the ideas of those who create and come up with all the components. This combination is very difficult, but if you manage to approach, even slightly, to the described ideal, the result will be very significant. So to create real interesting free games business simulators, which at the same time are profitable for the creators – a real art.